How come I can't here my phone vibrate when I get a text or call. The light will come on for about 5 seconds but I can't hear or feel it vibrate. It has to be in my hand or on my chest in order for me to feel it. This is unacceptable. I called TMobile and Samsung and no one seems to be able to give me an answer. It should be under your call settings. 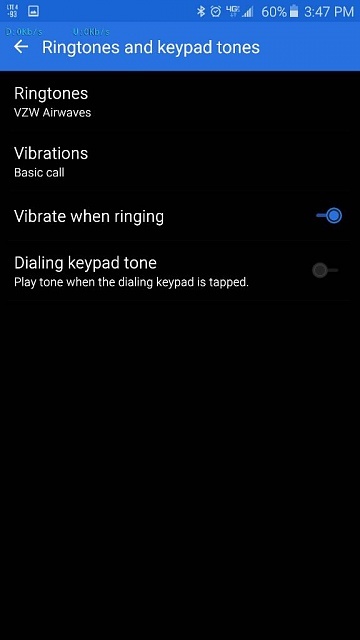 You can change the vibration type. Welcome to Android Central! Which phone? How old is it? Is the battery fully charged? Has it ever given a strong vibration? The vibration motor is one of the only two moving parts on a phone (the other being the camera's autofocus mechanism), so it's not that uncommon for it to malfunction. Doesn't recognize my fingerprint and don't know backup password, how can I get into my phone? Andriod phone gmail app won't sync with win10 email app.